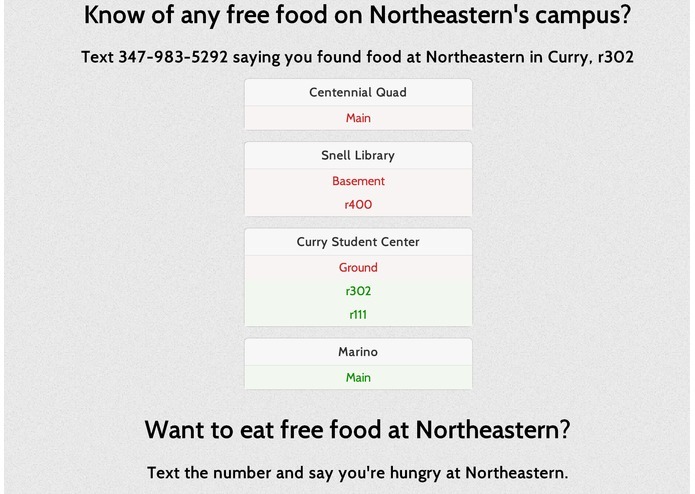 Students can text locations of free food on their college campus or receive the locations of free food if they say they're hungry. Students will eventually be able to add locations within their school themselves, making it fully crowdsourced. The information is also displayed online.